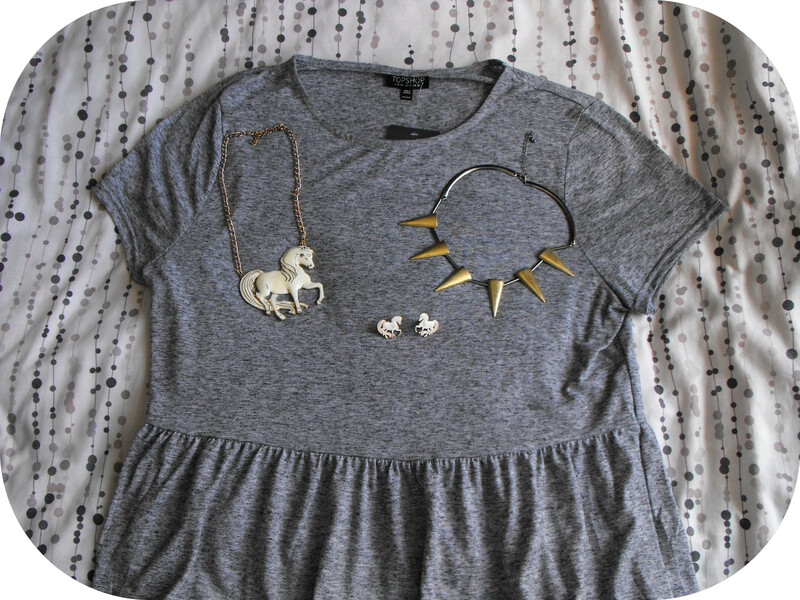 L-R: Speckle Tee Dress, Pony Pendant Necklace, Pony Stud Earrings & Spiked Necklace. It's been a good few years since I last really took an interest in Topshop, I absolutely love their designs but the prices have always put me off. However, I've recently heard a lot of good reviews about certain pieces that they're released so I decided to take a look and pick up some pieces. I know having so few items isn't exactly a 'haul' but for the money I spent it feels like one! It was definitely all worth it though. The first thing that I had my eye on was the Pony Pendant Necklace that they released one or two years ago and I'd always been envious of people who had it so I was really excited when they re-released it this year! When I went to look for it I also noticed this spiked collar necklace that had been reduced from £12.50 to £3 so I couldn't resist. I couldn't resist getting the stud earrings to match the necklace, they're adorable! They also sell them in a shade of pink. I'd actually been after one of their Speckle Tee Dresses for such a long time but they'd been sold out everywhere. I was lucky enough to get one in my size off the website while they were briefly restocked (I was literally checking a hundred times a day!) They also do it in the petite section in both grey and lilac. I'd love to have it in lilac but I'm way too tall! 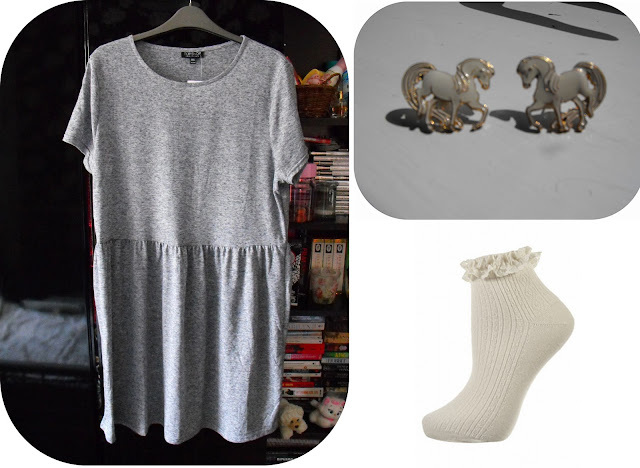 I hardly saved the best for last but I also bought some lace trim ankle socks so I can make my creepers look a bit more feminine! Though a few of them may be sold out I've found that if you keep checking they tend to get restocked! Such cute buys, love the pony pendant! Oh I have the longer version of this dress I think...who can resist it? It is so cute and so versatile! And the spike necklace makes the look dead edgy too. I have one of these necklaces myself! However I paid £15 for my spike necklace. Really have been robbed. And lovely blog too btw! The necklace with the studs is super! Ooooh I love all these things! The necklace is so cute. Great stuff! Both necklaces are amazing! Love what you bought, so pretty! A beta test is for a game that will be seen all around the room. set up fashion runway shows. second link is focused on" Myths and Facts" of cheap dance shoes.